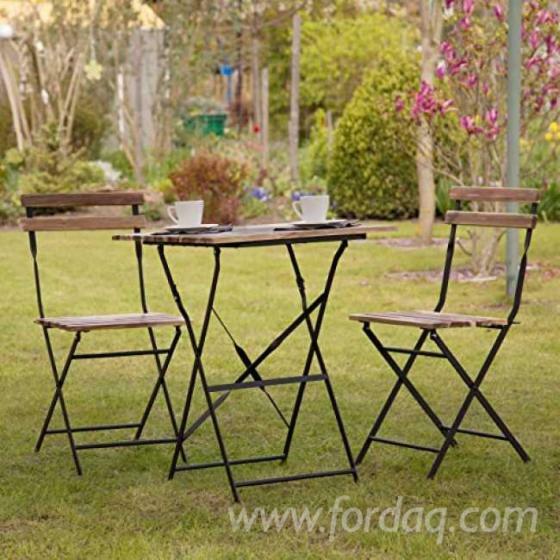 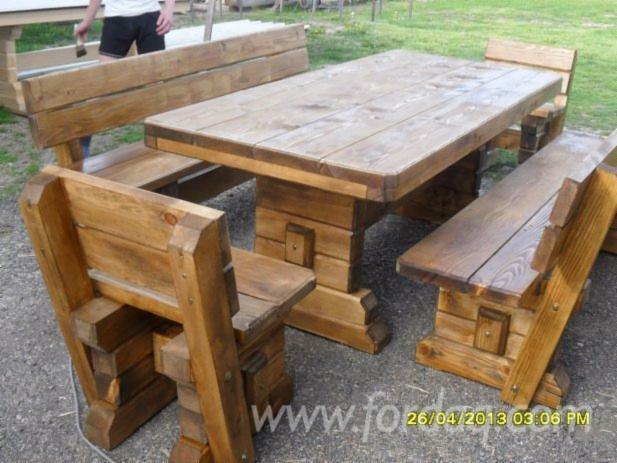 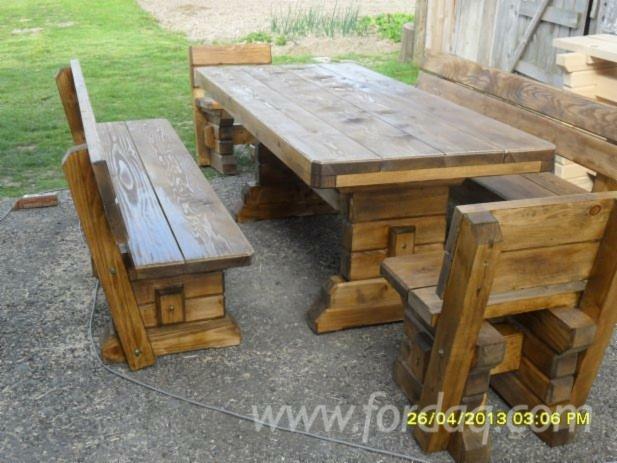 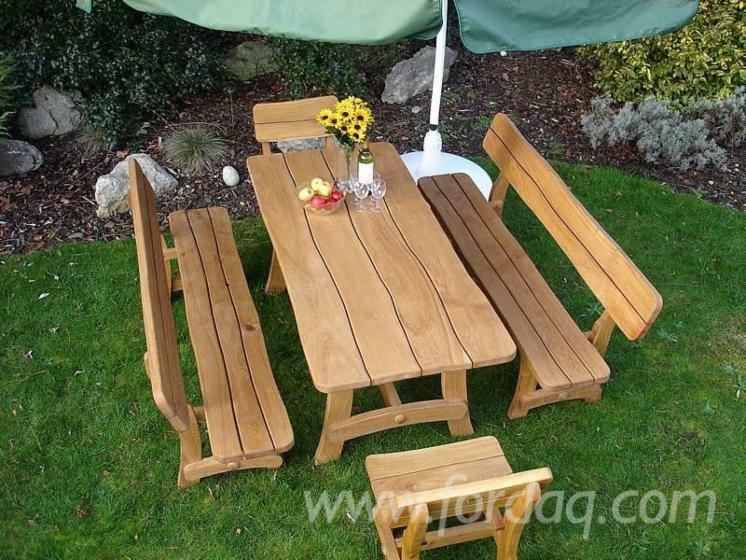 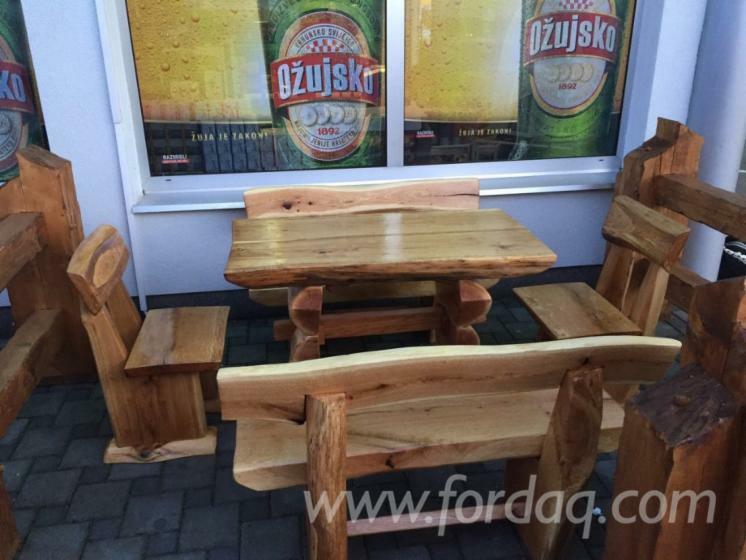 Garden seating sets produced in domestic work. 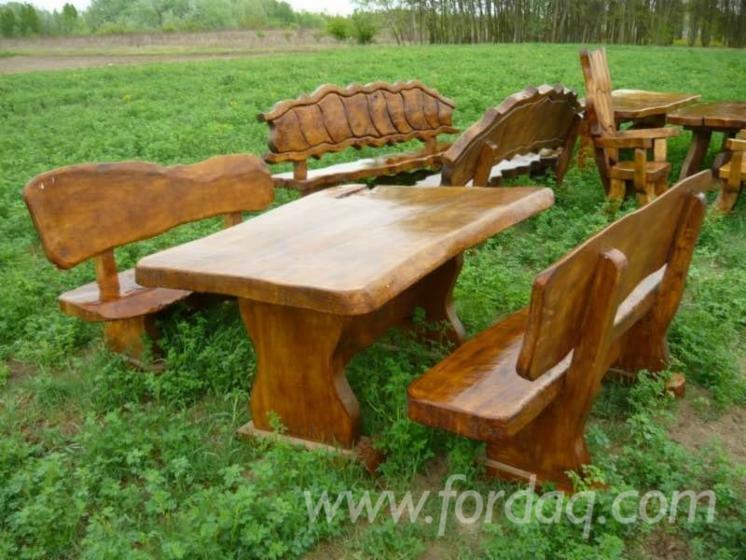 The garniture are made for each other and are made in various shapes. 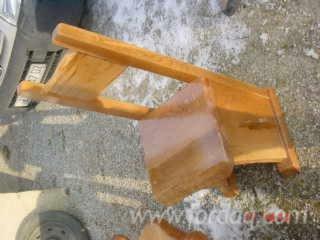 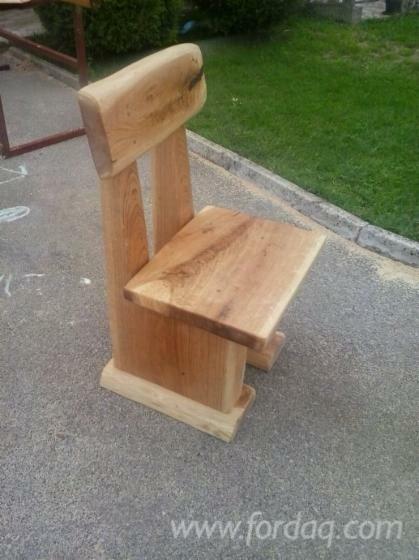 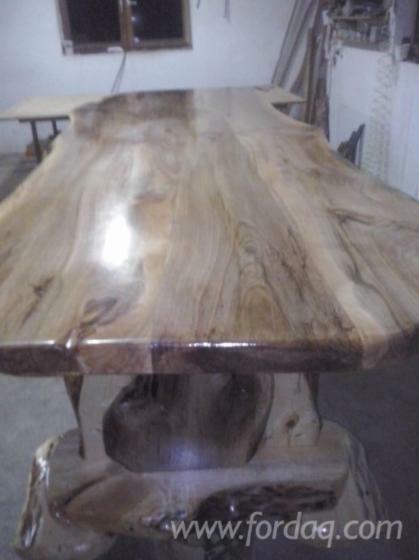 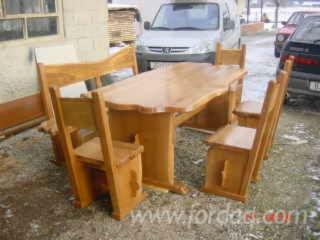 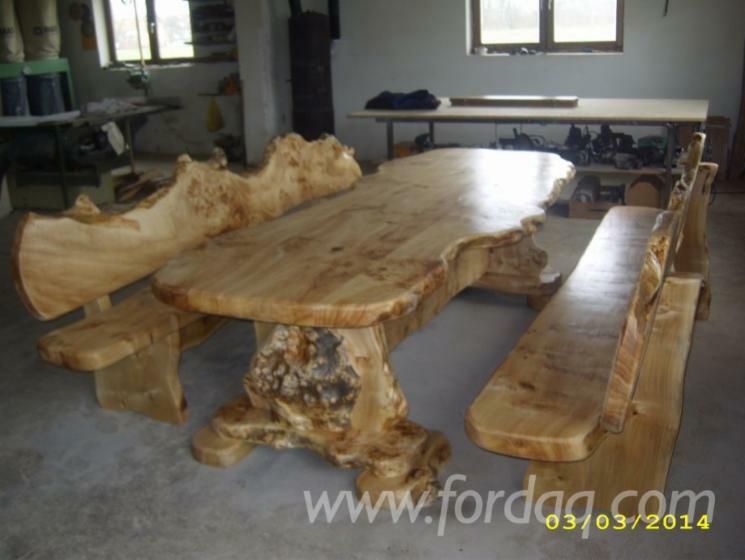 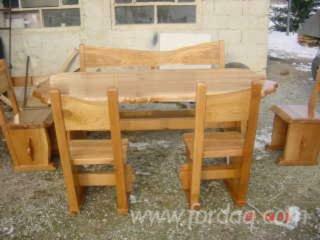 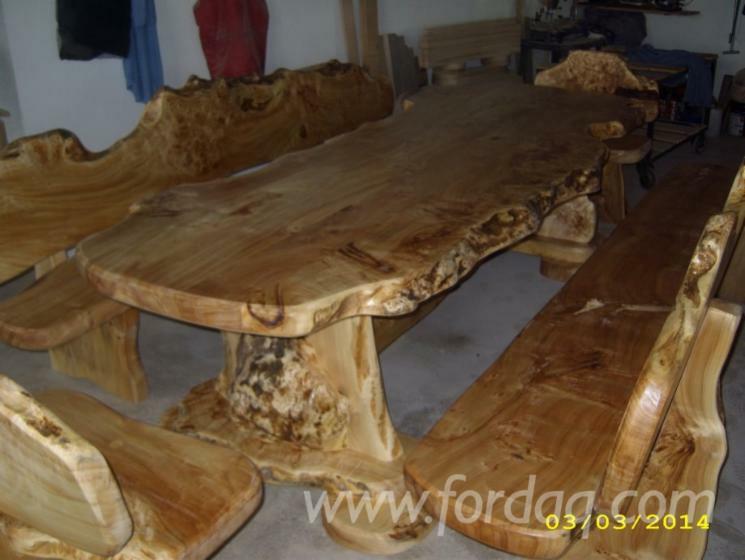 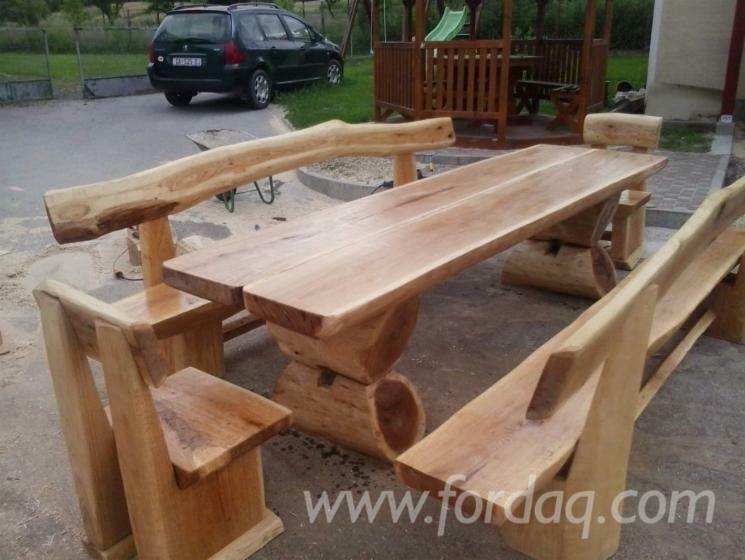 The type of wood: oak, black poplar and can also be desired by the customer. 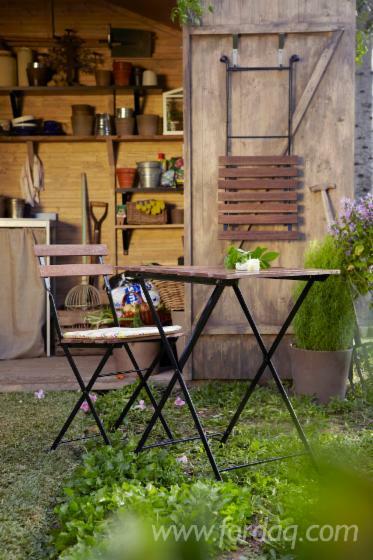 Garages can be used in gardens, terraces, restaurants, cafes and in every occasion. 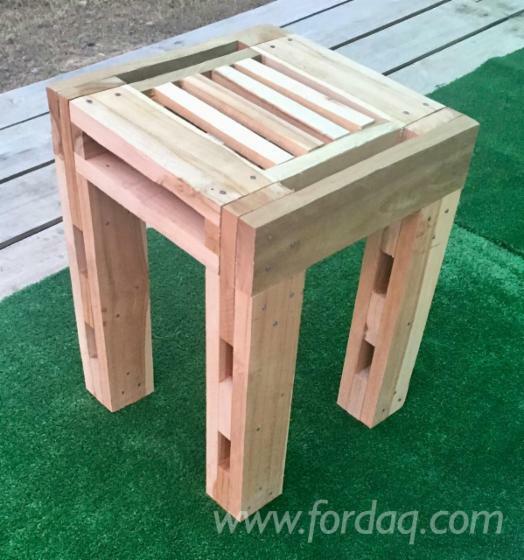 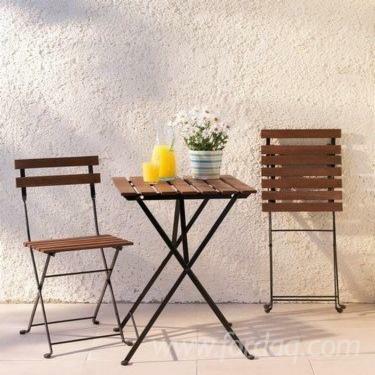 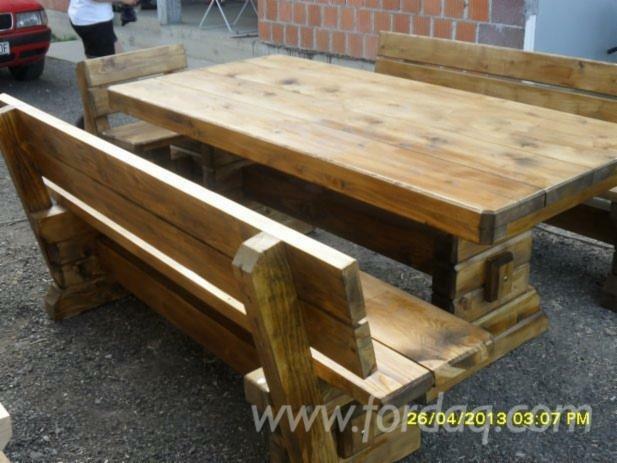 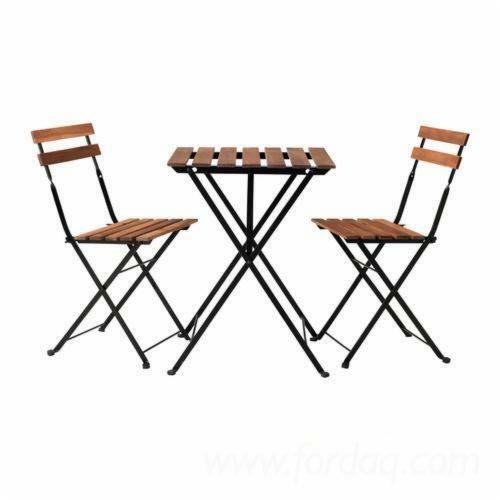 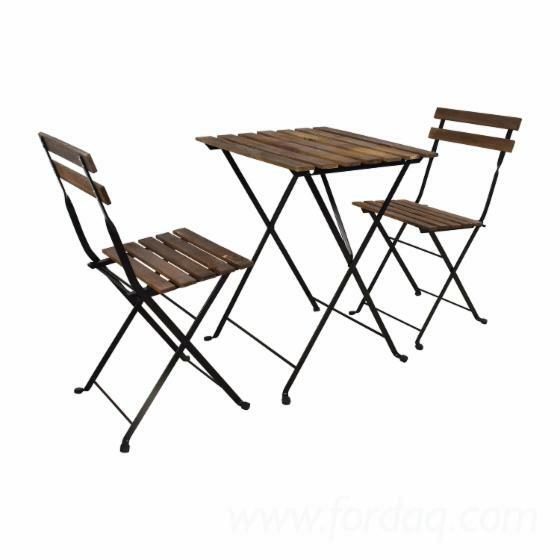 Sets can be made in all sizes according to the needs of the buyer, for two persons and more. 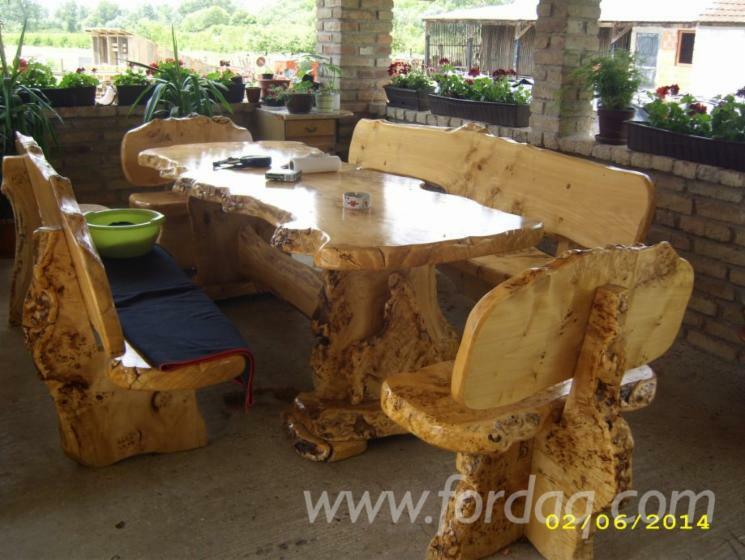 The gasket is protected only with a colorless coating so that the natural color of the wood comes to the fore.